One of the most affordable and desired destination for quality education abroad is Australia. Every year, over 2,00,000 international students choose Australia to pursue their higher education. Despite being a highly valued and recognized education hub, Australia also has opened up a number of earning opportunities for international students so as to reduce their burden of food and living expenses. There are also Australian Scholarships which International students including Indians can avail. Ranking among the best institutions in the world, the Australian universities not only deliver quality education but also offer excellent scholarship opportunities for you. Here, we have prepared a list of top Australian scholarships that you can avail to pursue higher education. The Indian Institute of Technology, Bombay in joint collaboration with Monash Research Academy offers PhD scholarships for students who have completed MTech, ME, MSc, BE, BTech or BSc. With an objective to provide innovative and significant research outcomes, multiple awards are being offered under this program. 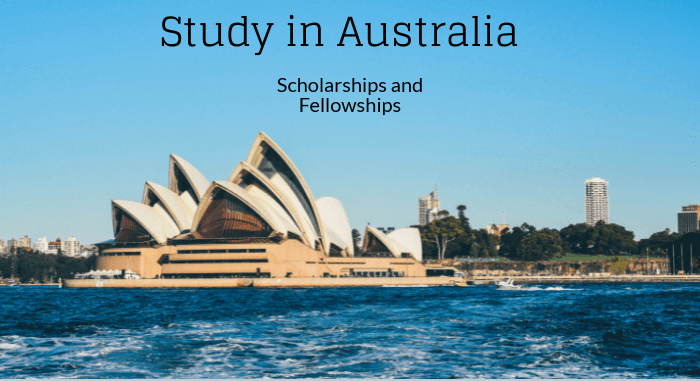 To conduct research in Australia, these Australian scholarships for Ph.D. include a grant of up to AUD 25,850 per annum. For students, who are willing to pursue a master’s degree in biotechnology, molecular biology or bioinformatics from Australia, the University of Queensland offers the postgraduate coursework scholarship that covers 50% of the tuition fees. These Australian scholarships amount to about AUD 16,640. Introduced by the University of Newcastle, PhD scholarship for immunology of kidney stone diseases aims to improvise the understanding of immune system’s protection against stone recurrences. The students having a bachelor’s or master’s degree in medicine or biomedical science can apply for this scholarship. The selected students will stand a chance to win AUD 26,682 per annum. Announced especially for undergraduates and postgraduates of India, Bond University awards AUD 10,000 under India Excellence Scholarship. This scholarship awards are based on the excellent academic qualification of the students. The students who are seeking admission to the BE (Honours) degree program in petroleum engineering at Edith Cowan University are eligible for petroleum engineering first cohort scholarship. The scholarship will cover tuition fee reduction up to 20%. Such Australian Scholarships are very common in other universities in Australia. You should visit Buddy4Study Global for more information. For all the aspirants of health sciences, the Australian Catholic University announces Robert and Richard Charles Carroll Scholarship, applicable only for admissions at Strathfield and North Sydney campus. The students entering into bachelor’s or master’s degree program will receive a scholarship amount of AUD 2,500.